The cannoli was brought to Louisiana by Sicilian immigrants. 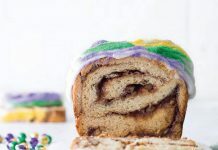 Today, Bayou State residents continue to put a unique, local spin on this delicious Italian pastry. Wrap Creole cream cheese in 2 layers of paper towels; place in a fine-mesh sieve set over a small bowl, and weigh down with a can. Let drain for 3 to 4 hours; discard liquid. Line a medium baking sheet with parchment paper. Line another medium baking sheet with plastic wrap. In the top of a double boiler, place 1 cup chocolate. Cook over simmering water, stirring frequently, until melted. Dip edges of cannoli shell openings in melted chocolate; dip in pecans. 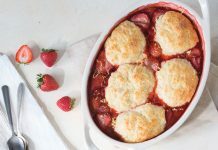 Place on parchment-lined pan; refrigerate until ready to fill. In a medium saucepan, whisk together sugar and cornstarch; stir in milk until smooth. Bring to a boil over medium-high heat; cook for 2 minutes, stirring constantly. Remove from heat; stir in vanilla. Pour custard mixture in a thin layer onto plastic-lined pan; cover with another piece of plastic wrap, pressing wrap directly onto surface of custard. Let cool completely, about 1 hour. 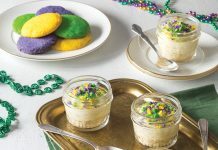 In a medium bowl, beat drained Creole cream cheese and salt with a mixer at medium speed for 1 minute; gradually add custard mixture, beating until smooth. Finely chop remaining 4 teaspoons chocolate; add to cream cheese mixture with ginger and zest. Place filling in a piping bag fitted with a large round tip. Carefully pipe into prepared shells. Refrigerate for 1 hour before serving. *If Creole cream cheese isn’t available, use 1 cup whole-milk ricotta cheese mixed with 1 cup nonfat plain Greek yogurt. Drain as directed. 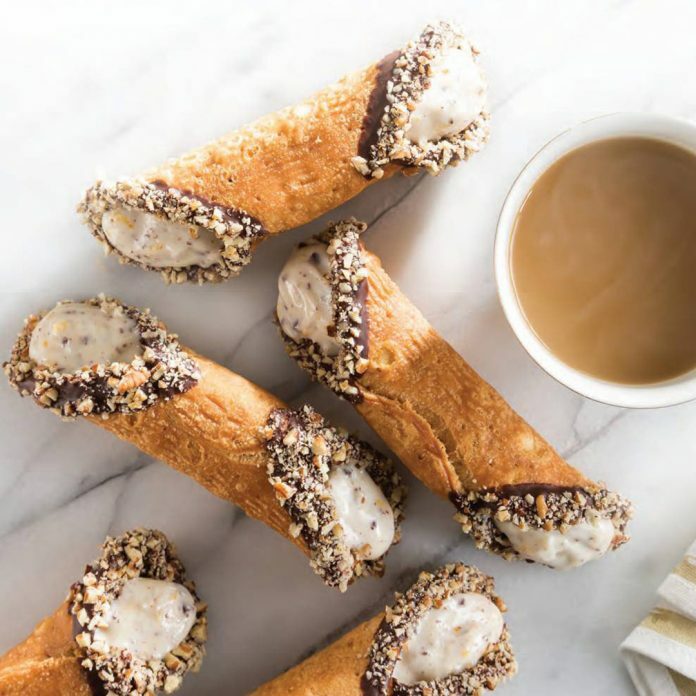 This could yield about ⅔ cup more filling, so pick up 2 extra cannoli shells, or use to top toast. Depending on Creole cream cheese used, filling may be a bit loose at first but will set up in the refrigerator.